History The structure of United States military ranks had its roots in British military traditions, adopting the same or similar ranks and titles. At the start of the American Revolutionary War in 1776, uniforms, let alone insignia, were barely affordable and recognition of ranks in the field was problematic. To solve this, General George Washington wrote: "As the Continental Army has unfortunately no uniforms, and consequently many inconveniences must arise from not being able to distinguish the commissioned officers from the privates, it is desired that some badge of distinction be immediately provided; for instance that the field officers may have red or pink colored cockades in their hats, the captains yellow or buff, and the subalterns green." In 1780, regulations prescribed silver stars for general officers, worn on epaulettes. From 1821 to 1832, the Army used chevrons to identify officer grades, a practice that is still observed at West Point for cadet officers. 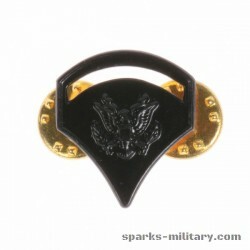 In 1832, epaulettes were specified for all officers, and colonels began wearing the familiar eagle insignia. 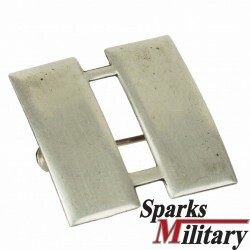 The epaulettes worn by the infantry were silver, while all other branches had gold epaulettes. In order that the rank insignia would be clearly discernible, they were of the opposite color; that is, the infantry colonels had an eagle of gold because it was placed on a silver epaulette and all other colonels had silver eagles on gold epaulettes. No insignia existed yet for lieutenant colonels, majors, captains, and lieutenants—the length and size of the fringe showing the difference of grade. In 1836, shoulder straps were adopted to replace the epaulette for field duty. The straps followed the same color combination as the epaulettes; that is, the border was gold with silver insignia for all officers except those of infantry which had silver border with gold insignia. At that time, lieutenant colonels and majors were authorized leaves, captains were authorized two bars, and first lieutenants were authorized one bar on the shoulder straps. In 1851, it was decided to use only silver eagles for colonels, as a matter of economy. The silver eagle was selected based on the fact that there were more colonels with the silver eagle that those with gold, primarily in the cavalry and artillery, hence it was cheaper to replace the numerically fewer gold ones in the infantry. At that time on the shoulder straps, lieutenant colonels wore an embroidered silver leaf; majors wore a gold embroidered leaf; and captains and first lieutenants wore gold bars. The second lieutenant had no grade insignia, but the presence of an epaulette or shoulder strap identified him as a commissioned officer. For majors, the shoulder strap contained an oak leaf, but like the second lieutenant, the epaulette had no grade insignia. However, the major was still distinguishable from the second lieutenant due to the more elaborate epaulette fringes worn by field grade officers. 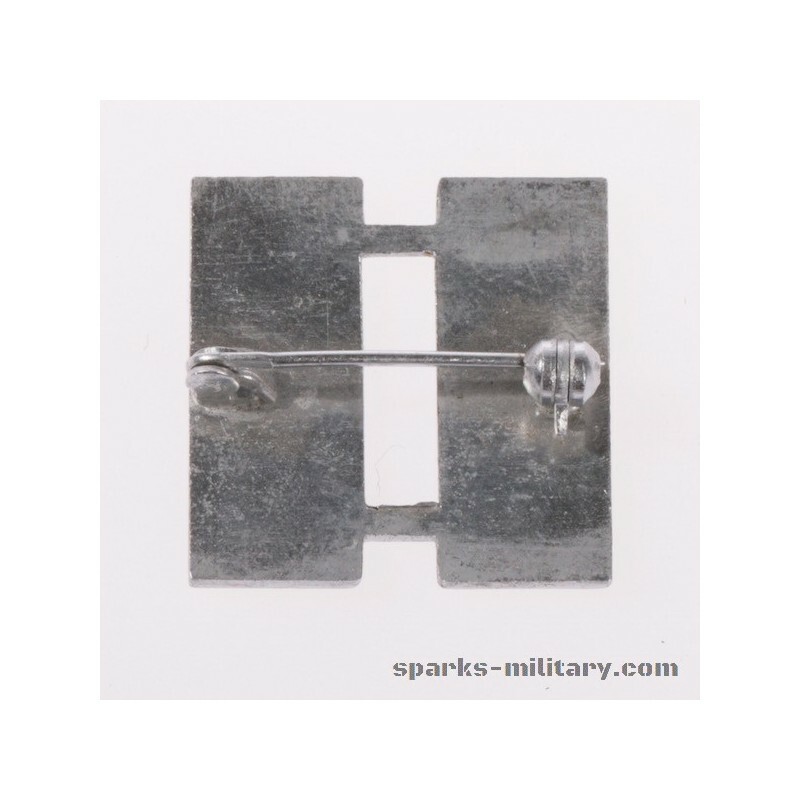 In 1872, epaulettes were abolished for officers and replaced by shoulder knots. As the shoulder knots had no fringe, it was necessary that some change in the insignia on the dress uniform be made in order to distinguish the major from the second lieutenant. It was natural to use the gold leaf which the major had been wearing on the shoulder strap. 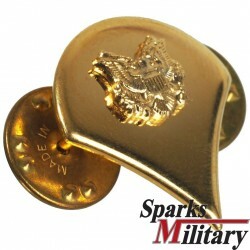 In the same year, the bars on the shoulder straps of the captains and first lieutenants were changed from gold to silver. By 1917 and the time of World War I, the olive drab service uniform had gradually become used more frequently and the blue uniform was worn only in the evenings and on dress occasions. 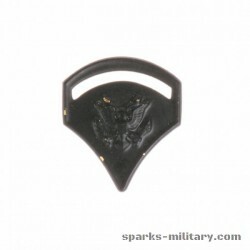 As a result, metal insignia was authorized for wear on the service uniform on the shoulder loop and on the collar of the shirt when worn without a jacket. Shortly after the United States entered the war, only the service olive drab uniform was being worn. 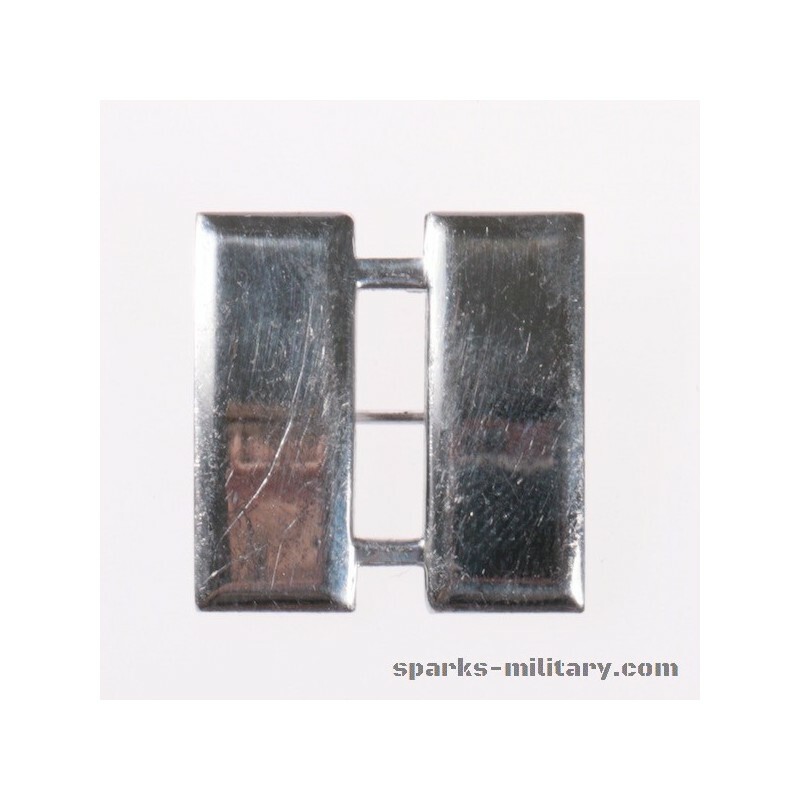 The need for an insignia for the second lieutenant became urgent. Among the proposals was one to authorize for that grade a single bar, the first lieutenant two bars, and the captain three bars. However, the policy of making as little change as possible prevailed, and a gold bar was adopted in 1917, following the precedent previously established by the adoption of the major’s insignia.